Perfect size lot to start a small business or use as a small shop to work on vehicles or machinery. Located on a highly visible street, the building offers one large room, a bathroom and two smaller rooms; one can be used as an office and the other is equipped with plumbing and electric to create a kitchen or wash room. The 12,500 square foot lot is more than enough room to park autos, boats, trailers or equipment. The covered parking will come in handy for those hot or rainy days all completely fenced in. Zoned Commercial. Check with the City of Coalinga for exact zoning use and if compatible with what you have in mind. 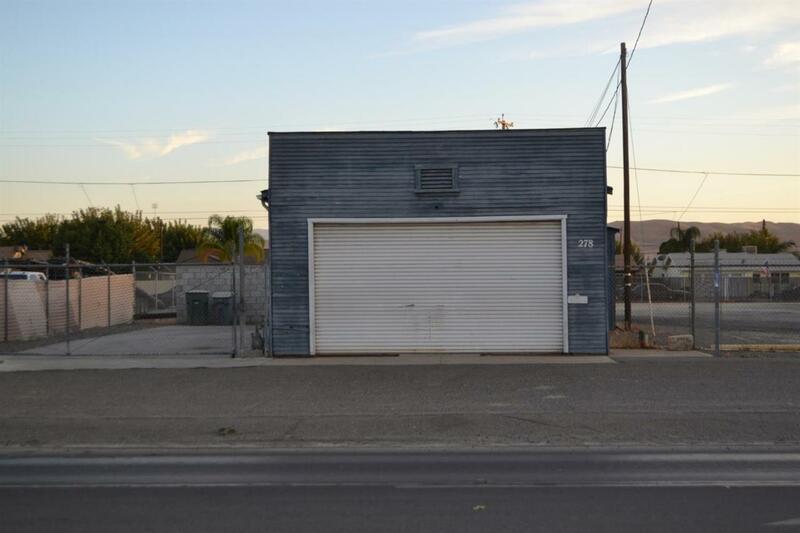 This property can be purchased separately or with the other two parcels at 268 1/2 E Polk St & 256 E Polk St.